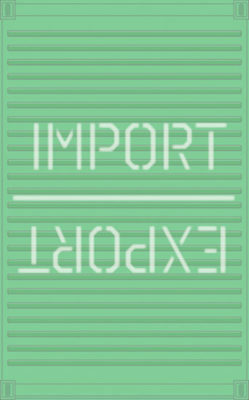 Throughout a game of Import / Export you will be attempting to secure contracts for your ships and load them with goods. Once out to sea, you will need to have those containers imported to clear your ship’s cargo so they can return to the harbor and do it all over again. 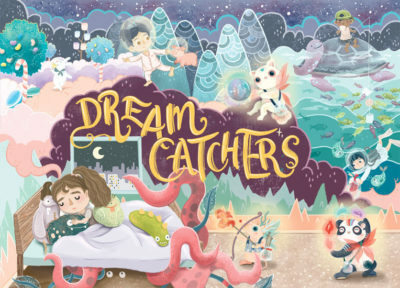 The goal in Dream Catchers is to collect enough good dreams to fill the dream track. Each player gets to be a dream catcher with a unique power. To start the game, a random mix of dream and nightmare cards are dealt into a 3×3 grid. 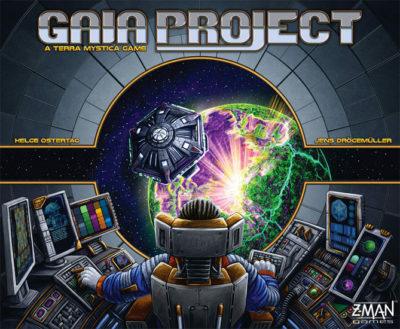 Each player then starts with 4 actions cards. Played in rounds, Schrodinger’s Cats is a bidding game where each player has a hand of cards containing a random assortment of live cats, dead cats, empty boxes, or Heisenberg uncertainty principles. Each player has a special power they can use once during the game. The players then take turns hypothesizing (guessing) the number of cats (live, dead, or missing) based on their hand, and any cards that have been laid out. This continues until a player challenges another to prove their statement. Players are eliminated if they are proven incorrect twice, and the winner is either the last player left or makes a correct guess three times. In most respects Indulgence is a cut-and-dried trick-taking card game in the traditional style. Players hope to avoid, unless they’re trying to buck the rules and win, tricks and/or particular cards to earn florins, represented by glittering plastic gems and shiny cardboard coins. The design is a style of plain trick-taking and predominantly no trumps. 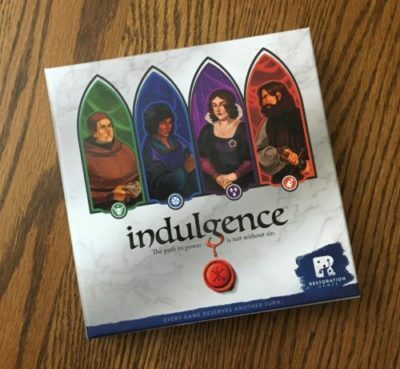 Indulgence plays with three to four, and a full game lasts either nine or twelve hands, with each player having the opportunity to be Ruler for three rounds apiece. The current Ruler deals out the entire deck – thirty-six cards of four families (suits) valued 1 through 9 – and then chooses an edict from amongst three available. The edict declares a hand’s goal, like avoid winning tricks, certain cards, a particular suit or maybe just the first and last tricks, etc. 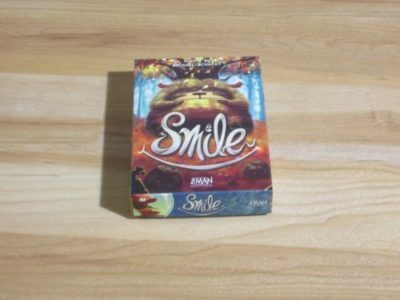 Smile is a bidding/speculation game for three to five players. Players have captured creatures, and these creatures have escaped. The players use fireflies to lure the creatures back. The player with the most points wins. 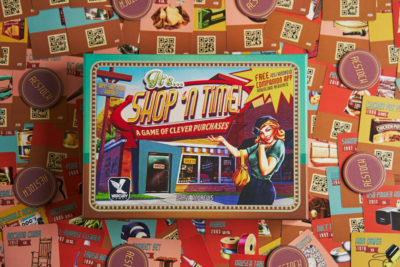 In order to play Shop ‘N Time you will need to download the companion app on an Android or iOS device. Each player is dealt 7 cards from the deck and the app will display a target dollar amount. Your goal is to collect items that amount to as close to the displayed target as possible without going over. The start button on the app is hit and all player pick up their cards and will choose one. Each card has an item, a year, and an amount. For example, one card might show a bag of pecans from 1970 that weighs 4 pounds. The first player to select their card hits the button on the app and a countdown begins. The rest of the players have only a few seconds to select a card before the round ends. When the round is over, players pass their cards to their neighbor and the app will automatically announce the beginning of a new round.